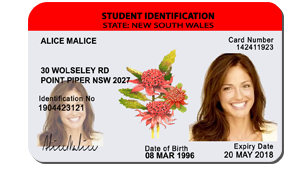 This is our novelty NSW fake ID. For just $69 you get a card printed on PVC composite plastic (this is the same material as your credit card). This isn’t just available to those in New South Wales – you can purchase this card from any location in Australia. Features a full hologram on both front and back. Your face appears twice on this novelty fake ID – both on the right side of the card and a ‘ghost’ version on the left side of the card. With express shipping available to NSW and all of Australia, you can have this card in as little as 3 days (from when we receive your payment). Please Note: There are websites offering fake NSW drivers licenses for sale in exchange for sending your money overseas. We would caution you against this as these are known scams operating and you will not receive anything in return for your money. 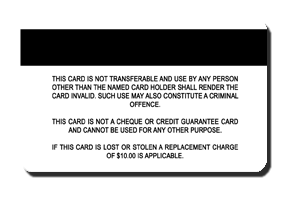 This novelty card does not replace a full NSW drivers license, nor is it made by the RTA or other government agency.